On 4 November 2016, the Paris Agreement came into force, just under a year after it was concluded and signed. Coming into force earlier than expected, the First Meeting of the Parties to the Paris Agreement (“CMA1”) has been hastily organised to coincide with the twenty-second session of the Conference of the Parties (“COP22”). This article will address two critical questions regarding CMA1 and COP22: what is left for discussion after last year’s historic result, and how will the earlier-than-expected CMA1 affect negotiations? Whereas the 21st Conference of the Parties (“COP21”) was primarily concerned with the broad mechanisms of international climate cooperation – limiting global warming to 2°C, with an aspirational limit of 1.5°C and mandating that greenhouse gas emissions peak by the second half of the 21st Century – COP22/CMA1 will focus on the practical details of how these mechanisms will work and goals achieved. Some of the key negotiations will centre around the Nationally Determined Contributions (“NDCs”), which outline each country’s intended emissions reductions. Successive NDCs must contain greater emissions reductions and must reflect each party’s “highest possible ambition”. Decisions are scheduled to be made about the features of NDCs, how NDCs can be communicated in ways that aid clarity, transparency, and understanding, and what guidance should be given regarding accounting for NDCs so that there is consistency between communication and implementation. The depth of what remains unknown surrounding the practical operation of the NDCs is evident through analysis of the different debates currently taking place, particularly regarding timing and accounting practices. NDCs are due every five years (Art. 4(9)), although the exact timeframe is to be determined by the Parties: Art. 4(10). India has suggested that developing countries should not have to submit NDCs every five years. This submission may fuel debate in respect of how far the principle of “common but differentiated responsibilities and respective capabilities” extends, especially given that the Agreement explicitly refers to a five-year timeframe. Accounting rules for determining emissions reductions illustrate further contrasts in the approaches adopted between developed and developing country Parties. The power of such rules has been demonstrated by Australia, infamously taking advantage of a rule that allowed for the crediting of good past performance under the initial Kyoto Protocol period to meet its current 2020 target, despite emissions actually being projected to increase by the end of the target period. “[D]eveloped country Parties should take the lead in applying the guidance for accounting” [while] developing country Parties should be allowed to choose … the sectors and gases covered in their NDCs and specific methodologies on accounting”. Iran and India, too, stress the different responsibilities for developed and developing countries in communicating NDCs, both specifically suggesting that the latter should not have to report on land use. Demonstrating these rules’ critical importance to an effective Paris Agreement, the United Nations Framework Convention on Climate Change (“UNFCCC”) has made several comments regarding the accounting practices employed by Parties in their intended NDCs. Inconsistent reporting on land use between parties and the failure to provide information on assumptions and methods used to account for those emissions are obstacles to evaluating the entire effect of the actions outlined in the NDCs. Meanwhile, Costa Rica (on behalf of a coalition of Latin American countries) and Japan have requested that NDCs more clearly outline which emissions reductions are unconditional and conditional. These concerns, along with the differing application of agreed accounting standards justified by “common but differentiated responsibilities and respective capabilities” may see confidence in the NDC system decline and the Agreement unravel, if left unaddressed. Entering into force faster than most commentators expected, the Paris Agreement’s swift adoption has also created a headache for administrators and diplomats. Those who have not yet ratified the Agreement are technically not allowed to participate in the Meeting. The Climate Institute have highlighted the importance of allowing those who have not yet ratified the Agreement to participate in these processes, especially as many of these countries may have legitimate reasons for not yet having ratified the Agreement. Meanwhile, guidance that is supposed to be provided by sub-committees and working groups to CMA1 remains unfinished, the process of creating such advice having only begun this year. Therefore, many of the decisions that CMA1 was scheduled to make under the decision of COP21 are not yet ready to be made. The World Resources Institute points out that this ought to be easily resolved, as COP22 can simply adopt new timeframes that accord with the early entry into force of the Agreement. However, the Paris Agreement contains reference to decisions being made at its first meeting, including the determination of common timeframes for NDCs. As this is in the treaty text, it is more difficult to amend the requirement for decisions to be made. The Climate Institute posits that COP22 must formally create a method by which these practicalities can continue to be discussed and determined until the end of 2018. The World Resources Institute suggests that one possible solution is the suspension of CMA1 until agreed, providing the example of COP6’s suspension for seven months after the Conference was first opened. This appears to be the most likely solution. COP22, as CMA1 or its potential starting point, is where the difficult work begins in ensuring that emissions are reduced in a manner consistent with the Paris Agreement. The early entry into force of the Paris Agreement has, perhaps ironically, made this difficult work all the more complicated. It will likely mean the delay of important decisions to allow for expert guidance, the opportunity for Parties to put their views, and ratification by most, if not all, Parties. To resolve these issues, countries will have to draw further on that same cooperative spirit that facilitated the swift and unanimous adoption of the Paris Agreement. 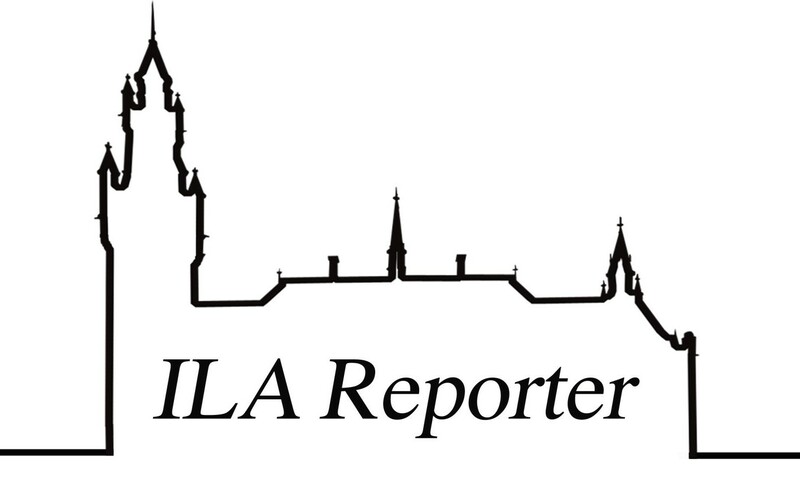 Josh Sheppard is Assistant Editor of the ILA Reporter.